Krasnopil is a village with a population of about 1,200 people located in the Chudniv district of the Zhytomyr region, about 80 km south-west of Zhytomyr. 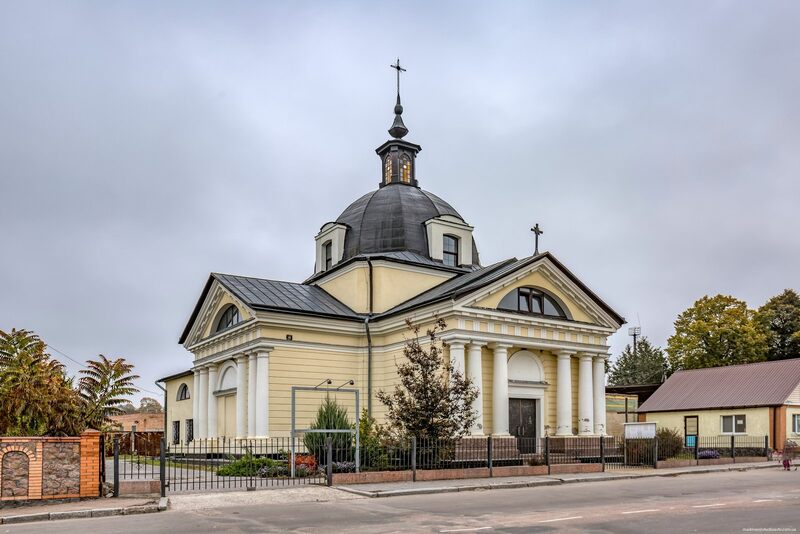 In 1902, a magnificent Catholic church was built here – the Church of St. Michael the Archangel. In Soviet times, the church was closed and the building was used as a mill, a smithy, a tractor base, and then it was finally abandoned. 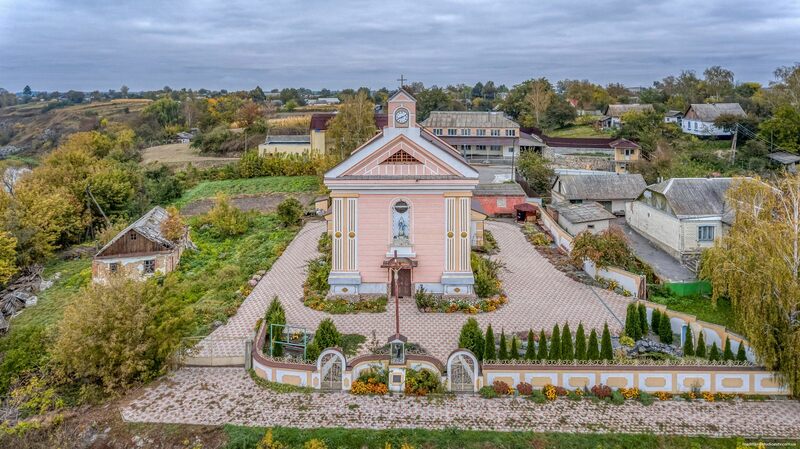 Berdychiv, a historic city with a population of about 76 thousand people, is located 41 km south of Zhytomyr. In total, there are more than 90 monuments of history, architecture and monumental art here. One of the most interesting architectural monuments of Berdychiv is the monastery-fortress of the Barefoot Carmelites – the Sanctuary of the Mother of God of the Holy Scapular. Berdychiv on Google Maps. Photos by: Maxim Ritus. Kaminne Selo (literally meaning “stone village”) is one of the little-known interesting places in Ukraine – several hectares of forest on which large boulders are scattered. 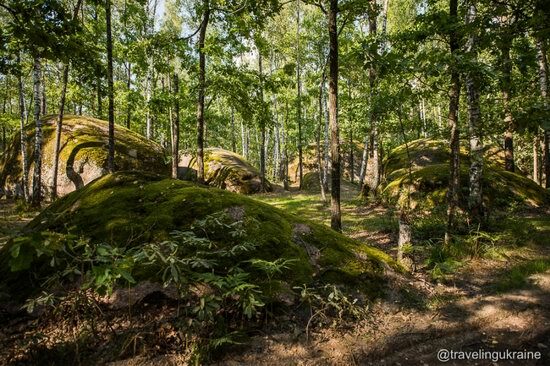 A lot of these stones resemble rural houses, there is a “square” with a “school”, and even a “church”. Most tourists visit a stone with “footprints of God”, there is a special ladder attached to it. Photos by: nastya_paw. The historical and cultural complex “Castle Radomysl” is a private museum complex located in the town of Radomyshl in the Zhytomyr region, about 100 km from Kiev. It was created by the Ukrainian medical doctor Olga Bogomolets. 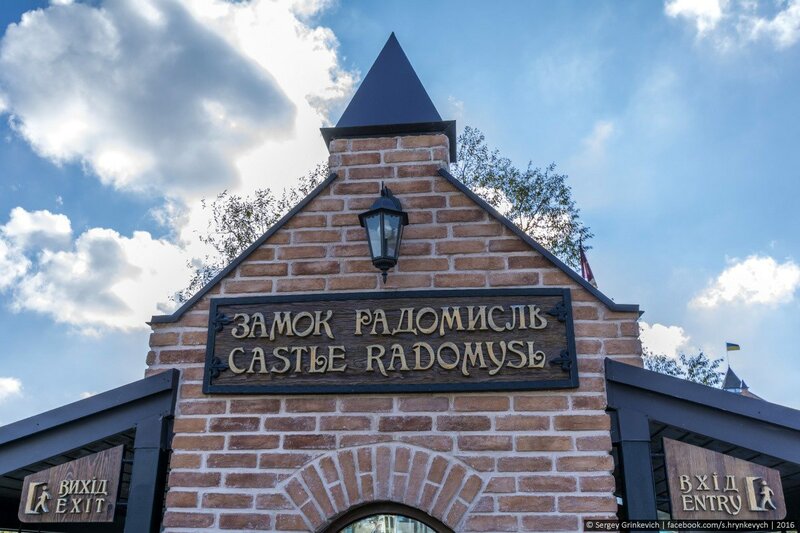 “Castle Radomysl” was created in 2007-2011. Its basis is the building of an old mill (1902) built on the remains of an older foundation. Castle Radomysl on Google Maps. Photos by: Sergey Grinkevich. 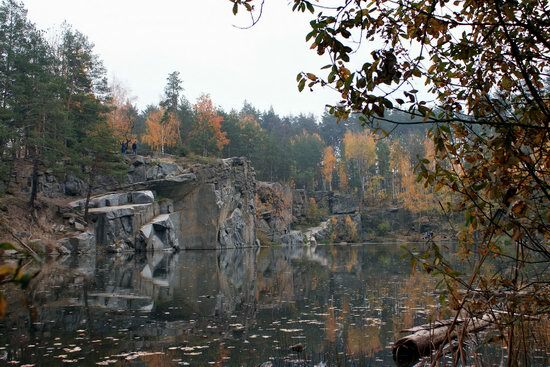 Berdychiv is a historic city located in the Zhytomyr region, 43 km south of Zhytomyr. 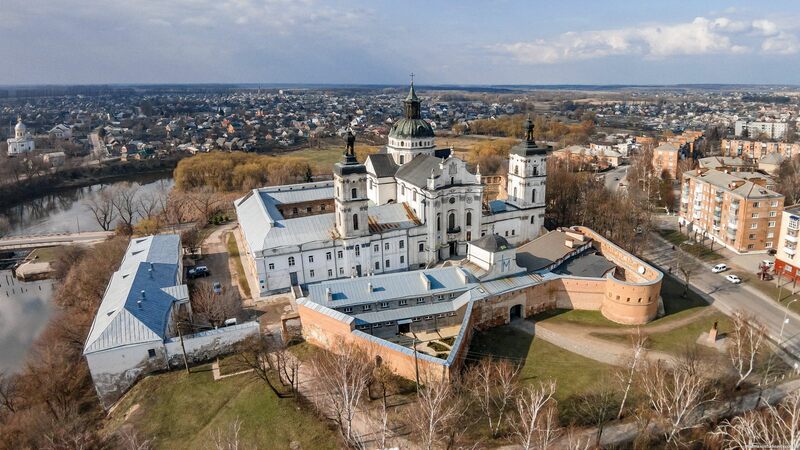 The main attraction of the city is the Monastery of the Discalced Carmelites – a majestic architectural complex with defensive walls, towers and a Catholic church in the Baroque style. 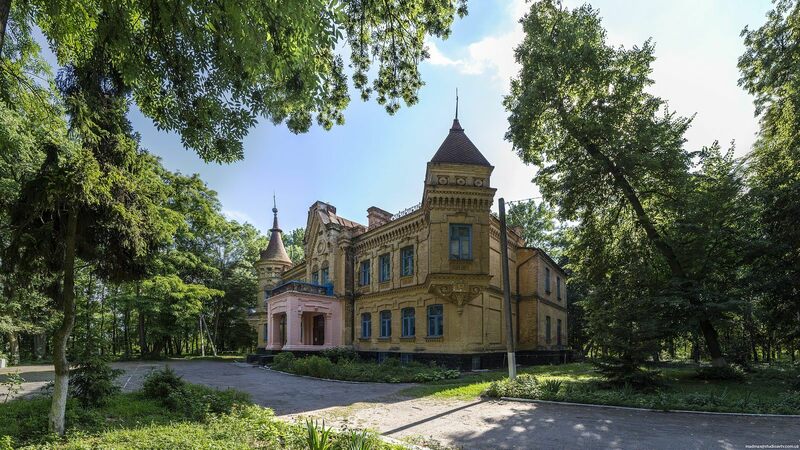 Originally it was a castle of the Tyszkiewicz family who owned this land since the 14th century. 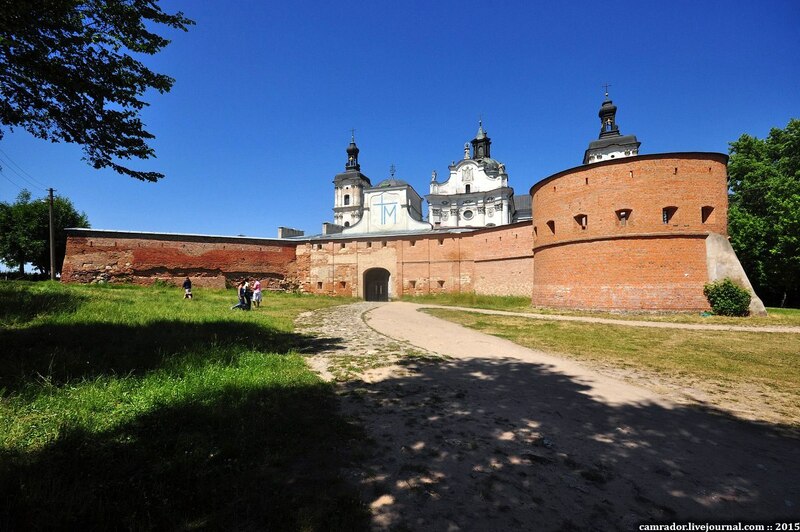 In 1630, the governor J. Tyszkiewicz gave the castle to the Catholic Order of Discalced Carmelites after his miraculous rescue from the Tatar captivity. Construction of the monastery lasted from 1634 to 1642. Photos by: camrador. Church of St. 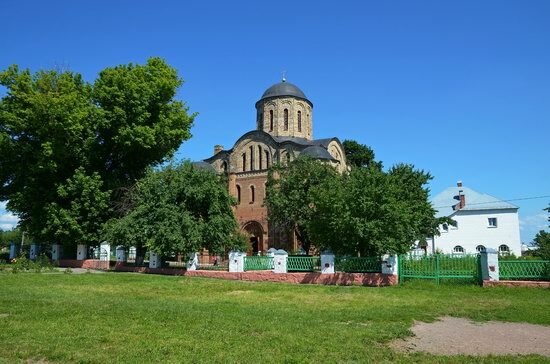 Basil the Great is the oldest church of the small town of Ovruch located in the northern part of the Zhytomyr region. The church, a part of a complex of St. Basil Convent, is an architectural monument of national importance. 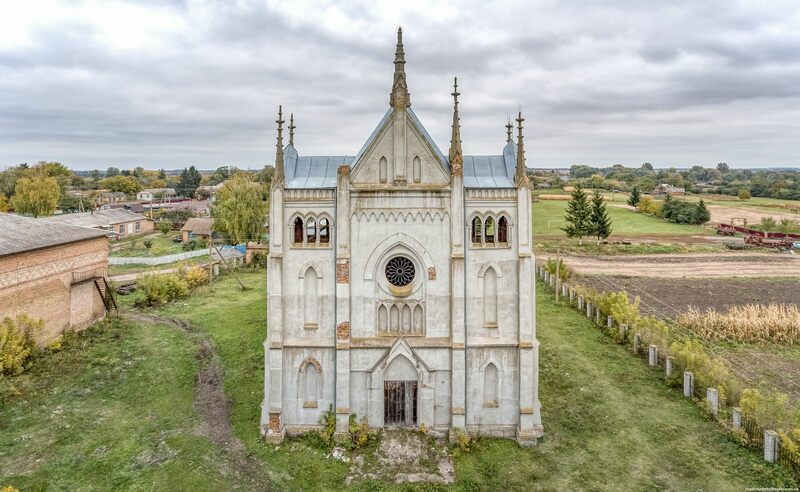 The church was built by Prince Rurik Rostislavovich in 1190. Uvarova Palace (1899-1900), located in the center of Turchynivka village in the Zhytomyr region, is a fine example of the Renaissance-Art Nouveau style. The brick building of the palace is surrounded by a park. It was part of the dowry of Fyodor Tereshchenko’s daughter Natalia, who married Sergei Uvarov, the leader of the nobles of the Berdichev district. Fyodor Tereshchenko was a prominent industrialist and philanthropist. Uvarova Palace on Google Maps. Photos by: madmax.